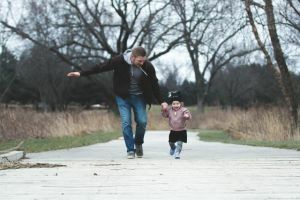 Fathers Rights after Separation - Is Primary Custody Possible? We represent a lot of fathers who are seeking family law information about their children and the Australian legal system. Many fathers come to us with depression, anxiety and high levels of stress because they believe that they will not be able to spend time with or see their children. There has always been a preconception that the courts will always award mum primary custody and dad will get the children on the weekends. This is simply not true as each case is unique and requires careful consideration, nonetheless, if it can be argued that it is in the best interests of the child to stay with the father and not the mother, then the court may make a decision in favour of the father. The average father is now very different to what they were 20 years ago. We see today that fathers are very active when it comes to the raising and decision making of the children. Research confirms that fathers’ affection towards children helps promote their social and emotional development. Most divorced fathers do not receive full custody of their children. As a result, maintaining their roles as parents can be difficult due to the reduction in time spent with their children. Justice Family Lawyers empowers fathers to spend as much time as possible with their children. We educate fathers on what they’re entitled to and encourage them to ask the courts for what they really want. The Courts encourage parents to make plans that align with the best interests of the child. Denial of contact with one parent may have serious consequences for a child’s development. When determining child custody rights, the golden principle that the courts look at is 60CA of the Family Law Act 1975. The section says that when determining parenting orders in relation to a child, the Court must regard the best interests of the child as the paramount consideration. When determining what are the best interests of the child, the court acknowledges that children should have the benefit of both of their parents having a meaningful involvement in their lives, to the maximum extent consistent with the best interests of the child. This means that if your circumstances permit, you could have a chance of at least 50% time with your child. The court also prioritises protecting children from physical or psychological harm. This means protecting children from being subjected to, or exposed to, abuse, neglect or family violence. It is extremely important that you address any allegations of domestic violence immediately and effectively. This may mean contesting an Apprehended Domestic Violence Orders or defending yourself in the Local Court because you have been accused of being violent. The courts also want to ensure that children receive adequate and proper parenting to help them achieve their full potential. This means that they want to see that parents fulfil their duties and meet their responsibilities concerning the care, welfare and development of their children. Case studies help us understand the position of the Family Court. Cases are an important source of information to help us understand and interpret the position of the Family Court. Each case or judgment is the solution to the dispute between parties to the case. Once the judgment is delivered it becomes a precedent that future disputes will be based upon. In the matter of Biss , despite a history of violence by the father and the mother’s allegation against him of child sexual abuse of one of their children, the judge made an order for the parties to share equal parental responsibility and spend equal time with the children. The Court concluded that although there were positive and negative factors to consider, the positive factors outweighed the negative and that the children’s best interests would be served by spending equal time with both parents. In this case, the father had 5/15 nights with the child. He then made an application to the court for equal time once the child began school and until then an extra night each fortnight. The mother was opposed to the extra night for two reasons. Firstly said it was not in the child’s best interests to spend an extra night with the father. Secondly, she was concerned about having the child dropped off too early in the morning because of the father’s work commitments. The court was of the view that it would assist the child and the parents to move towards equal care if the child’s time with the father was increased gradually. In this recent decision, the judge considered parenting arrangements where equal time with each parent had been in place for about 11 months. Both the father and the Independent Children’s Lawyer proposed that the children live for equal time with each parent. The mother’s position was that the children live with one parent and have visitations from the other. She wanted the children to have more stability, whether that meant staying with her or with the father. The judge found that the mother was focused on the children’s needs as she believed that it would be better for the children to live principally with one parent rather than there be equal time. Her position was in tune with the emotional and psychological needs of the children. As a result, she was awarded principal care for the children. Click on the links below to find out further information about what your legal options are and what you need to consider with your particular matter. Remember if you have a question about a particular issue, you can contact our solicitors for advice by phone or make a website enquiry directly to our office.